4 YRS Wuxi Ruising Building Material Co., Ltd.
2. Origianl irrevocable letter of credit After Contract confirmed,start to produce after receiving irrevocable letter of credit. 4. How to ensure the quality of shipping products9 All products have to be through strict inspection before delivery. We not only have to ensure the quality in business but also the credibility in our market. 1 YRS Foshan Shi Zhou Building Material Co., Ltd.
split tiles split bricks interior wall exterior wall Specifications Outdoor Clay Wall Bricks 1. 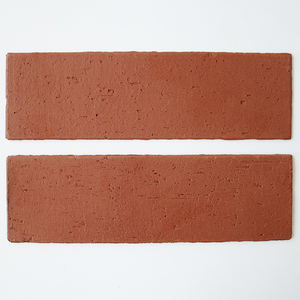 2.Size:240x60x11mm 3.Usage:exterior wall tile 4.FREE SAMPLE Outdoor Clay Wall Bricks: 1. 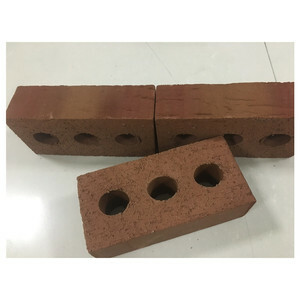 2.Size:240x60x11mm 3.Usage:exterior wall tiles 4.FREE SAMPLES Outdoor Clay Wall Bricks Specification: Type: Exterior Wall Clay Red Bricks Material: Natural Clay Size: 60x240x11mm Packing: Paper carton with pallet(60pcs/ctn, 195.5kgs/ctn) Usage: Exterior Wall Decoration Applying place Building, Hotel, School, Hospital etc. 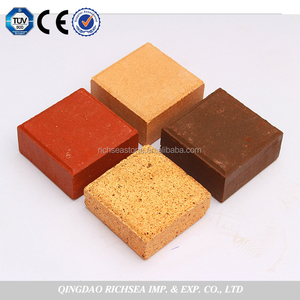 Feature: Acid-Resistant,Antibacterial;Heat Insulation, Non-slip;Firebrick, wear-resistant. Certificate: GB/T19001-2000/ISO9001:200 Photos of Project: Packing & Shipment: Please contact us freely for more information about our products. 8 YRS Hubei Boyuejia Industrial Co., Ltd.
3.FOTO is the branch office of clients in China. 4.We will try our best effort to meet client&rsquo;s requirement. 5.FOTO Ceramic tiles , the world tiles. We can provide all kinds of sizes , specifications and various colors according to consumer 's requirements. 1. We provide the best suitable products and solutions according to customer 's requirements. We are sure that our future will be more resplendent with your cooperation and support. 2 YRS Foshan Bosaier Decorating Materials Co., Ltd.
2.Easy install,Cheaper install cost than the real stone installation. 2.when we can ship goods after place an order9 Delivery time is about 10-15 days as per order qty. 2. Factory direct sale with excellent quality, reasonable price and first-class service. These damaged tiles can be used for the cuts you will need to make. What are some basic tile care instructions for Porcelain and Ceramic9 A. Can I store the tiles for a while before installing them9 A.
l Well-trained & experienced staff are to answer all your inquiries professional in english . l Your business relationship with us will be confidentioal to any third party . Our factories located in overseas Chinese - Quanzhou, Fujian. We consistently use genuine raw materials including Portland cement, Bayer pigments, BASF adhesive and other aggregate materials for production assuring the quality and reliability of our products. 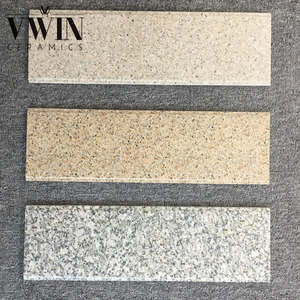 Our products have passed CE and Eurofins Test, the materials are eco-friendly and no harmful for human body, the products can be safely to be used in interior and exterior wall decoration . We consistently use genuine raw materials including Portland cement, Bayer pigments, BASF adhesive and other aggregate materials for production assuring the quality and reliability of our products. 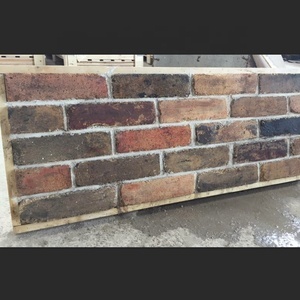 Alibaba.com offers 58,470 wall brick products. About 4% of these are tiles, 4% are bricks, and 1% are artificial stone. 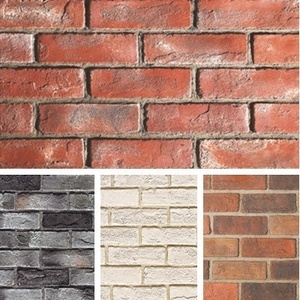 A wide variety of wall brick options are available to you, such as acid resistance bricks, acid-resistant, and antibacterial. 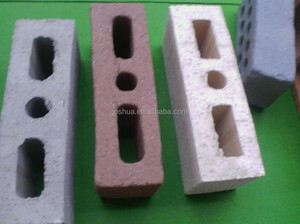 You can also choose from clay bricks, concrete bricks, and coal gangue bricks. 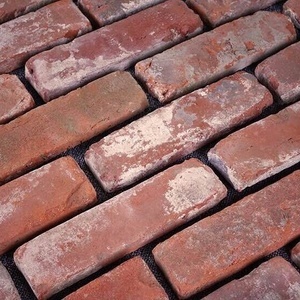 As well as from angle bricks, thin bricks, and rustic tiles. And whether wall brick is steam-cured, sintered, or autoclaved. 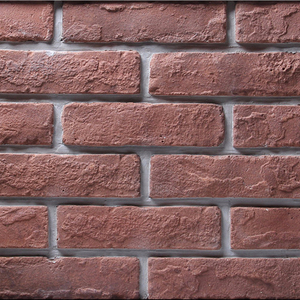 There are 58,470 wall brick suppliers, mainly located in Asia. The top supplying country is China (Mainland), which supply 100% of wall brick respectively. 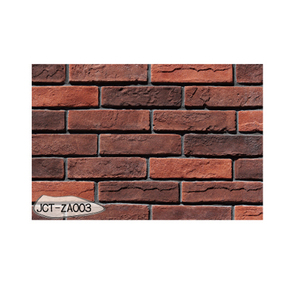 Wall brick products are most popular in Mid East, North America, and Domestic Market. You can ensure product safety by selecting from certified suppliers, including 14,911 with ISO9001, 6,269 with Other, and 3,884 with ISO14001 certification.